TheRustedChain - The Blog: Christmas Gift Certificate sale! Our Christmas deadline has arrived. As of today, we can't ship orders for Christmas delivery. Our team has worked insane hours to get all of our orders out! They've put in long hours and I am so appreciative. 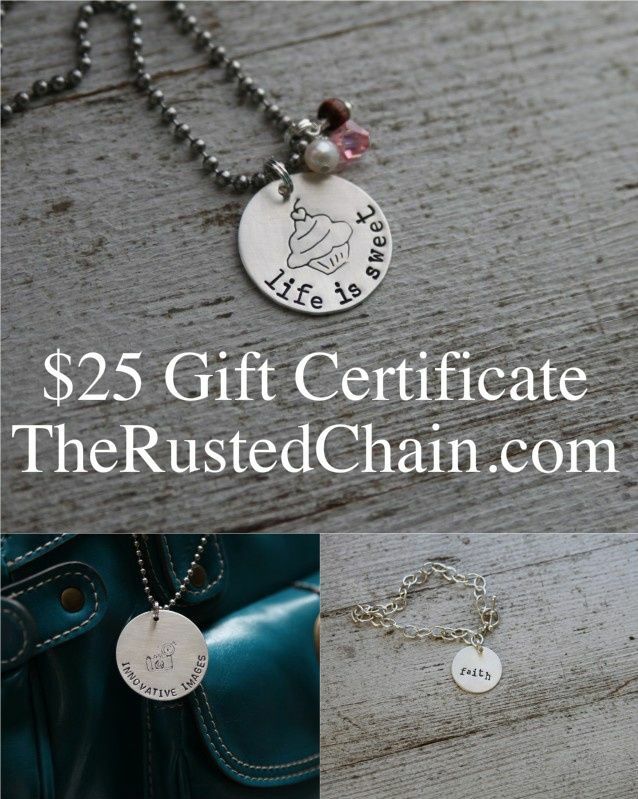 So since we're no longer shipping in time for Christmas, we're offering a Gift Certificate sale! If you buy a $25 gift certificate you get a $5 coupon. If you buy $50 in gift certificates, you get a $10 coupon. You can have it emailed to the recipient, or to yourself... Even purchase it for yourself if you want a treat!